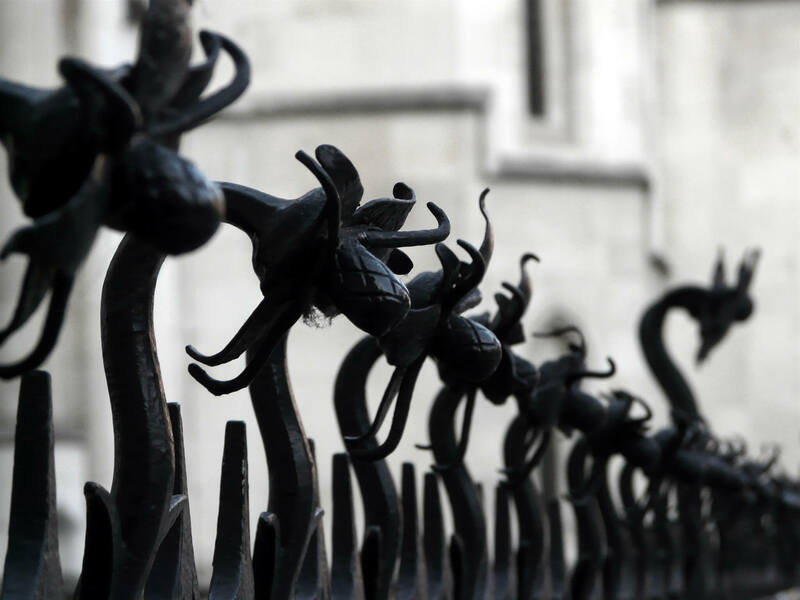 Deborah Rowntree writes about the key differences between LIBOR and SONIA and what to expect when LIBOR is replaced in 2021. Many RPs have loans in place which have pricing based on a margin above LIBOR (the London Interbank Offered Rate). As we have reported previously, it is unlikely LIBOR will be available as a benchmark beyond 2021 and the Sterling Over-Night Index Average (SONIA) has been recommended as the replacement for LIBOR as the benchmark used in the UK debt market. SONIA is the rate of interest paid on sterling short-term (overnight) wholesale funds. It is an average of the interest paid overnight on eligible deposits. SONIA is administered by the Bank of England and the rate for any given day is published at 9:00am the following business day. In June 2018 the European Investment Bank issued the first floating rate bond using SONIA as the benchmark and subsequently Lloyds (in September 2018) priced a bond using SONIA. 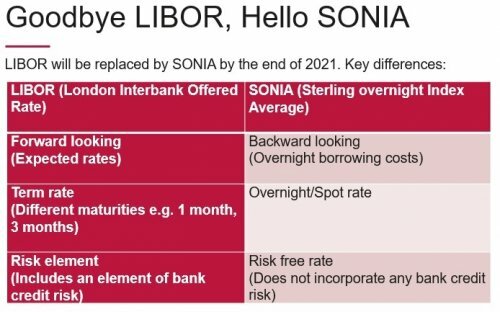 There are several key differences between LIBOR and SONIA as set out on the table below. Whilst LIBOR is forward looking and is the average rate at which panel banks expect to obtain funding, SONIA is backward looking being based on overnight borrowing costs. This does mean though that SONIA is a risk free rate because it is based on actual borrowing costs and doesn’t incorporate bank credit risk unlike LIBOR which has a risk element included within it. As it is forward looking LIBOR is available for several different maturities e.g. 1,3,6 and 12 months. SONIA is currently only available for the overnight period it relates to. The transition to SONIA is particularly relevant to the social housing sector because it has a large volume of loans and derivative products that are linked to LIBOR. The sector also has a large volume of longer term debt compared to other sectors and any of this debt that matures after 2021 will need to be transitioned to SONIA. There has been some concern that this could lead to higher pricing and increased exposure in the sector. SONIA tracks below LIBOR (even when compounded) so there will need to be a recalibration exercise as part of the transition but SONIA and LIBOR could diverge in the future in any event. Overall pricing of debt is therefore likely to be impacted and break costs are likely to be higher based on SONIA. On a more positive note however, because SONIA doesn’t include an element of bank credit risk there is hope that the switch to SONIA will create more certainty and predictability in the UK debt market long term. Also the mechanics of how SONIA based loans will operate in practice need to be finalised. This is because the way LIBOR loans work currently the rate is set on the first day of the relevant period borrowers know in advance what the payment will be at the end of that period. However as SONIA can only be calculated at the end of the relevant interest period how can borrowers know in advance the amount of interest they need to pay? In the bond market a convention has developed where SONIA is compounded to calculate the amount of interest payable for a particular period (known as the observation period) and there is then a lag period of 5 business days between the end of the observation period and the end of the interest period when payment is due. The Bank of England is also looking at forward-looking Term Sonia Reference Rates (TSRRs) and the first TSRR is anticipated during the second half of 2019. For the moment, whilst we now know SONIA is going to replace LIBOR it is still too early to say exactly how the transition will work and therefore we would suggest it is something to continue to keep an eye on. In order to prepare for the transition we would suggest that any RPs or lenders to RPs with existing funding linked to LIBOR check the fall-back provisions in their documents dealing with what happens in the event LIBOR is unavailable to understand their exposure and start planning for the transition. In new loans and amendments of existing loans we are now seeing wording being included as recommended by the LMA which allows for LIBOR (in the event it ceases to be available) to be replaced by any benchmark which (i) is formally selected as a replacement for LIBOR by the LIBOR administrator or by an appropriate regulator, (ii) otherwise accepted by the relevant markets or (iii) is otherwise agreed by the lender (or the majority lenders in the case of a syndicated loan) and the borrower. To date we have not seen too much dialogue generally in the sector and as 2021 is fast approaching it would be worth RPs and lenders having more discussions with each other around how the transition will work to try and develop a sector led approach to this.